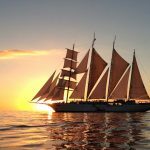 Star Clippers has announced its 2018-2019 itineraries along with an array of savings opportunities for travellers. Travellers who reserve any of the newly released 2018 or 2019 voyages can enjoy up to 35 percent savings, on selected sailings from the brochure rates. On top of those special offers, returning guests always receive a five percent discount. Star Clippers will return to the Caribbean in 2018-2019 with seven-night cruises in Grenadine, Windward, Treasure and Leeward Islands. Star Clippers will also offer the 14-night ABC Islands itinerary. The line will return to the exotic destinations of Thailand, Malaysia and Singapore in 2018 and 2019, sailing to Bali for the first time ever this year. The exotic exploration of Indonesia itineraries on board Star Clipper operate from May to October 2018. 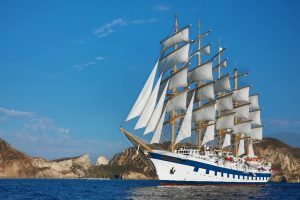 Star Clippers’ Mediterranean itineraries will visit the Greek Isles, the Adriatic and the Balearics. Star Clippers will also return to Cres, a hidden gem in Croatia, and for the first time ever, the line will visit Elafonisos, part of the Greek Ionian Islands. Star Clippers operates three of the world’s largest and tallest sailing vessels. Visiting ports often untouched by larger cruise ships, Star Clippers offers passengers the activities, amenities and atmosphere of a private yacht. Star Clippers’ two smaller ships, Star Flyer and Star Clipper, sail with 170 passengers each and a crew of 74. Royal Clipper sails with 227 passengers and a crew of 106. All three ships have expansive teak decks, swimming pools, informal dining, tropical bars and piano lounges.